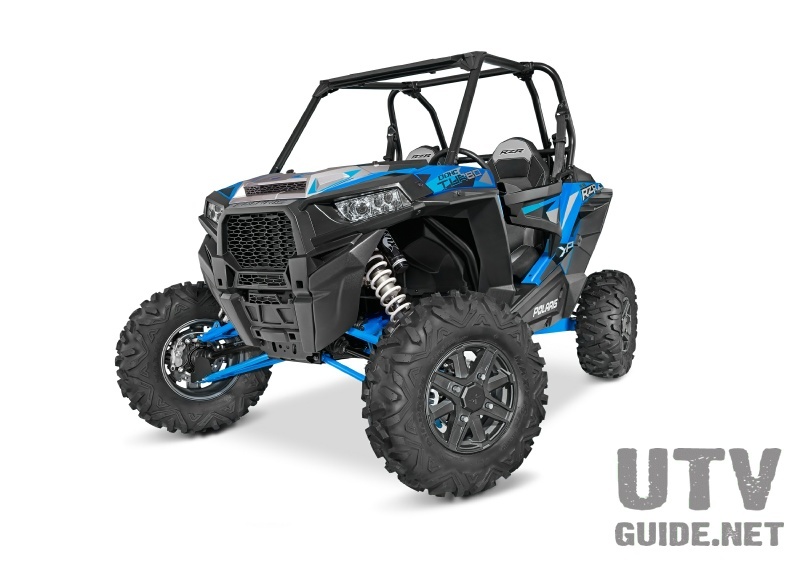 What is the "perfect" UTV? That is a tough question because every rider has different needs and rides on different terrain. This page was created to help guide you through the differences in the different side x side vehicles. Our focus is more slanted towards sport use rather that utility, so take that bias into account if you want a vehicle that will be used on a farm for example. We like to ride in the dunes, desert and places like Moab and the Rubicon. In order to fair well in all of these types of terrain, you will need to be pretty nimble. If you don't see a particular UTV below, it is most likely that we felt it did not fall into our riding style. Weight 945 lbs. 1049 lbs. TBD 1165 lbs. 1185 lbs. Ground Clearance 10" 12.1" 11.2" 13" 11"
Length 102" 113.6" 115.7" 115" 113"
Width 50" 54.4" 58.3" 61.25" 60"
Wheelbase 77" 75.2" 75.8" 75" 76"
Travel 9" front, 9.5" rear 7.3" 7.5" 10" 9"
2" receiver 1300 lbs. 1500 lbs. Bed Capacity 300 lbs. 400 lbs. 500 lbs. 600 lbs. 1000 lbs. We are big fans of electronic fuel injection. With EFI, vehicles tend to start easier and run smoother. And once you have an aftermarket fuel controller installed, it makes tuning a breeze after adding intake or changing your exhaust. Twin cylinder is the way to go with big cc's. 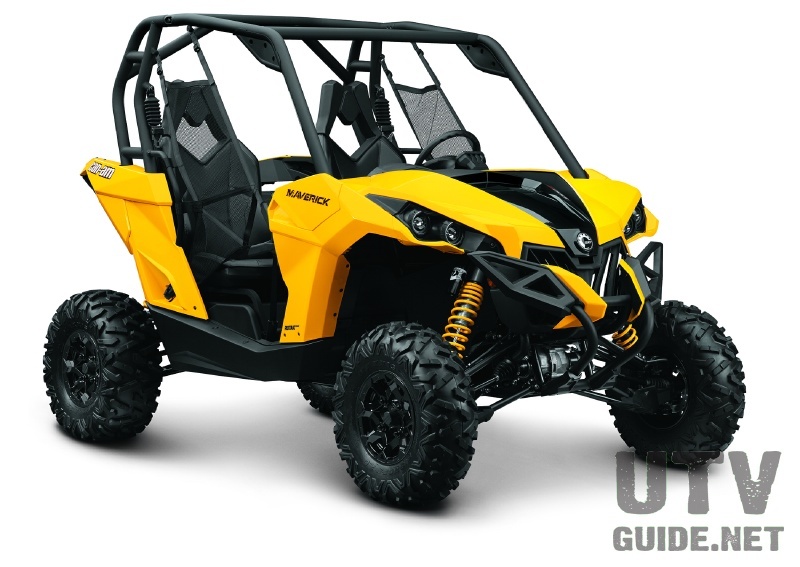 Power to weight ratio is big for all of these underpowered UTVs. 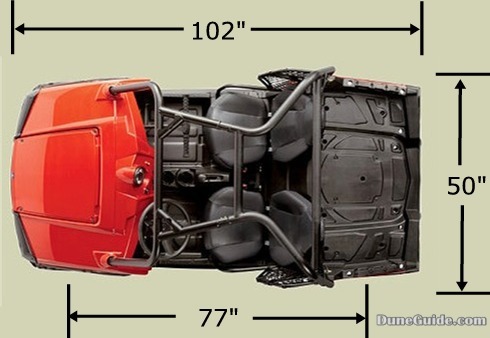 Check out the weight specs carefully, and also look at what you add to the vehicle. A four seat roll cage, a bench seat and two kids adds a lot of weight. 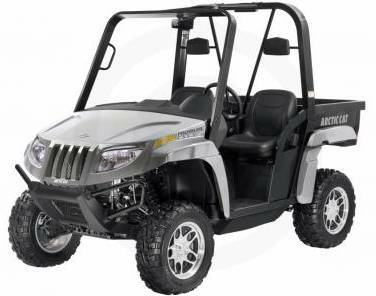 In stock form, all the UTVs suffer from low ground clearance. A key to being successful on trails like the Rubicon or running the Baja 500 is ground clearance. Adjustable ride height would be a big plus. Sway-A-Way, Legend Air Suspension and Fox Racing Shox both have air shocks that should make this a reality. We will have to see how they perform in all types of terrain. A low center of gravity translates directly to more stability. 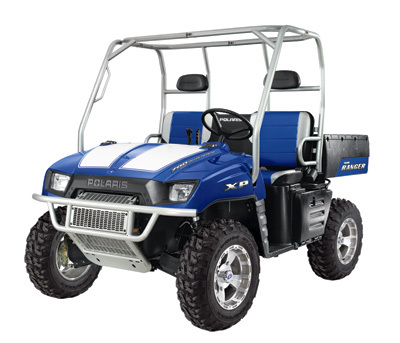 The Polaris RZR is the only UTV that really addresses this with how the engine is placed behind the seats. This directly translates to lower seats by several inches. Unfortunately, some of the gains for the RZR are realized by lowering the entire vehicle. And this means low ground clearance. 3. 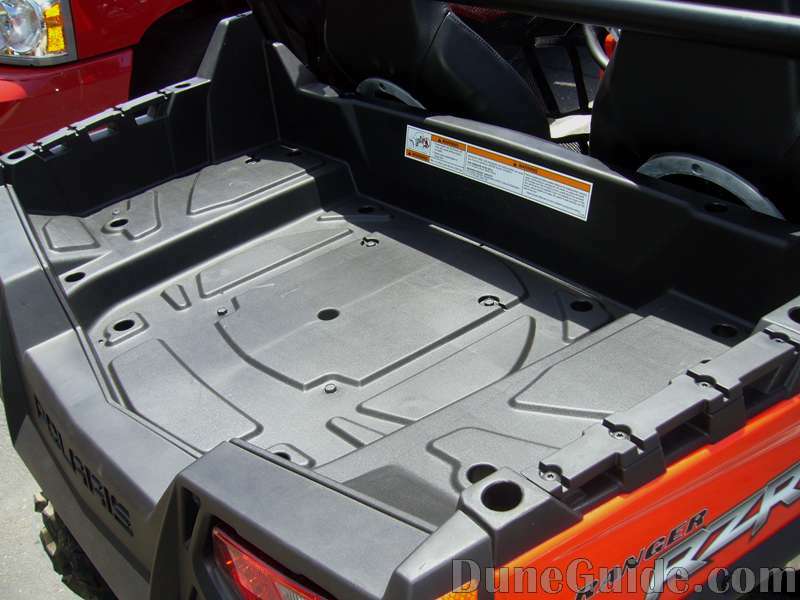 Cargo - If you are looking to add seats and a cage in the bed for kids, it can be done with a Rhino, Ranger or Prowler. No can do with a RZR. If you want to have two adults and all your camping equipment for two nights, it will also be real tough in a RZR. When it comes to full size vehicles like Jeeps and Toyota trucks, wheel travel is probably the most important feature on trails like the Rubicon and Moab. But for UTVs, it really does not seem to make a difference. On our UTV Rubicon run, we had a good mix of stock and long travel rigs. The other features listed here all seemed to make a bigger impact that long travel vs. stock. The one advantage that the long travel Rhinos did have was a plush ride. My Rhino has a Mason Motorsports +6" long travel kit with 46mm Elka Elite shocks, and the ride is so much better than the 1998 Jeep Wrangler that I used to have. Now go out on the track or play in the dunes, and wheel travel is much more important. If you look at what types of aftermarket parts are available for different side by side vehicles, you'll see that it isn't equal. The Yamaha Rhino is the hands down king when it comes to aftermarket, but the Polaris RZR is catching on quick. 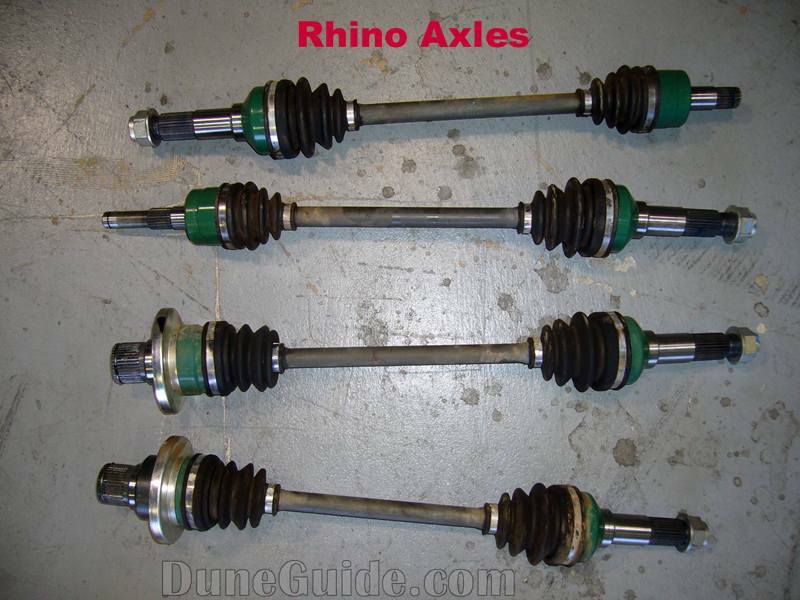 For example, there are almost 40 different long travel kits and lots of aftermarket pipes being made for the Rhino. For the RZR, there are now over a dozen long travel kits, with more coming out each month. Try and find a long travel kit for the Polaris Ranger or Arctic Cat Prowler, and you will have few if any choices. Long travel may not be in your future, but it seems like other sport-type aftermarket products (performance, roll cages, bumpers, etc.) are in line with the popularity of long travel for a specific vehicle. Nothing else matters much if you aren't comfortable in a vehicle. Leg room, seat comfort, tilt steering wheel, cab space. I am 6' 1" and 190 lbs. I fit pretty well in all of these side x sides. The Polaris RZR is a bit tight, but very doable. If I was much taller or pushing 250 lbs. with a similar sized guy next to me, the RZR would be on the small side. The tilt wheel in the Polaris RZR is nice. Adjustable seats would be nice for when a smaller person wants to drive. Locking differentials are a real necessity for a trail like the Rubicon. With an open differential, if one tire loses traction, all power goes to the tire that is spinning. That doesn’t help much when the spinning tire is in the air. With a locking differential, if a tire loses traction, the other tire can still pull. 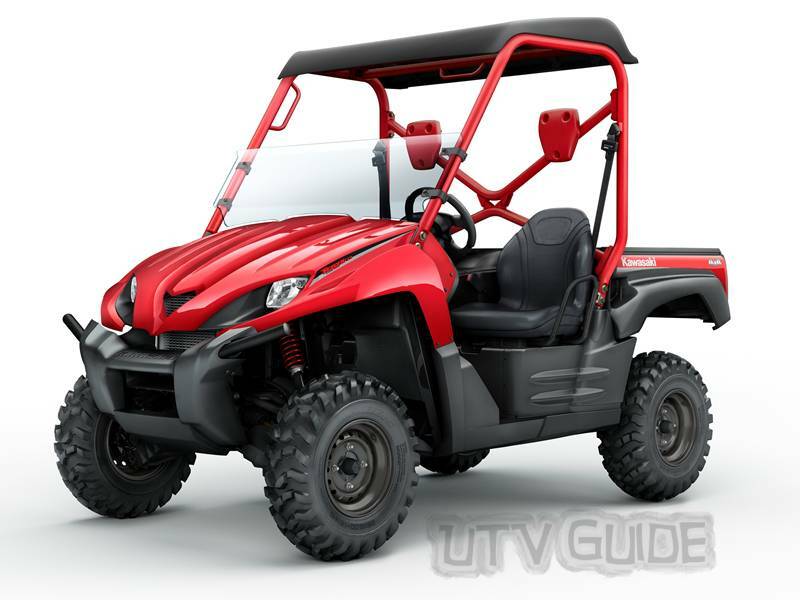 Thankfully, most of the UTVs come from the factory with some sort of locking differential. 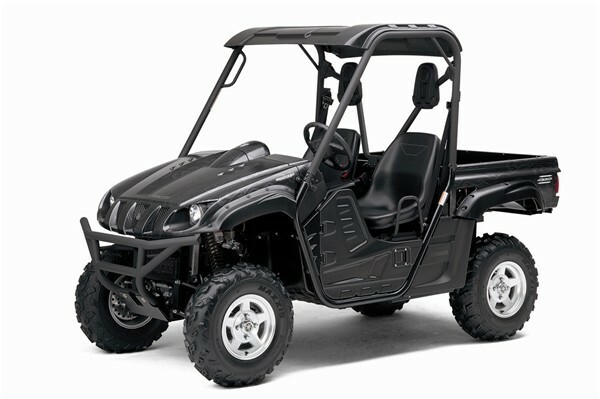 However, the rear differential on the Yamaha Rhino and the Polaris RZR are always locked and cannot be unlocked (open). The downside to a differential that isn’t open is poor turning radius. On a tight trail like the Rubicon, you can turn your wheels all the way in one direction, but the locked rear end will push the vehicle straight. On the 2008 Arctic Cat Prowler, the driver controls whether the rear differential is open or locked. In the dunes or desert trails, the locked rear end is no big deal. Low range really doesn't come into play for dune use. The stock RZR is much quieter than a Rhino and the exhaust exits straight out the back. The possibility of a CV or axle giving up on the trail is pretty real. We had three CVs break amongst our 14 UTVs on the UTV Rubicon run. It would be great to be able to carry a spare axle with CVs and boots all ready to install in case of a breakage. 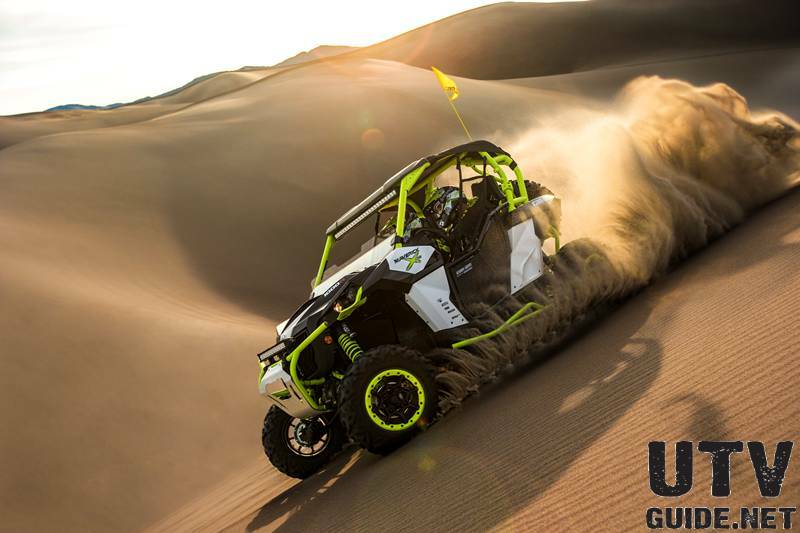 Unfortunately, none of the UTVs have common length axles, so you would need to purchase and carry multiple axles for each vehicle to handle all scenarios. Polaris RZR has two axle sizes. Yamaha Rhino has 3 for 2008 and 4 in 2004 - 2007. 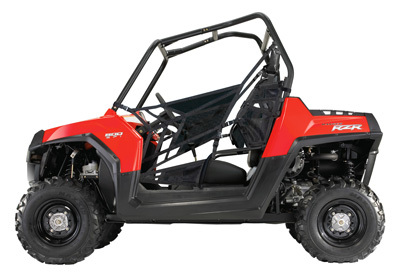 For day trips, all the UTVs have plenty of capacity for spare parts and an ice chest. But if you are going to camp out on the trail, you need more room for tent, sleeping bags, food, clothes, etc. The RZR is really the only "sport" vehicle available in the side by side market, and the bed is a bit small. It all depends on what you are doing with the vehicle. If you want to pack two people, plus gear for two nights in the bed, the RZR will be a challenge.